Am I the only one that still enjoys snuggling up into my Snuggie with a good book? As the weather in the Northeastern region of the country becomes more blustery and less blissful, the comfort of a good book and a warm fire set the scene for some good reads. 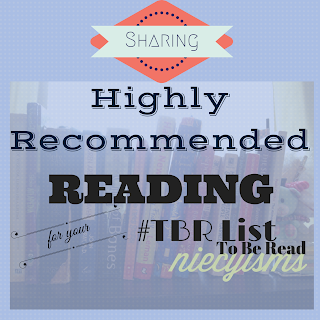 Here are some of my personal recommendations to enlighten your TBR List. 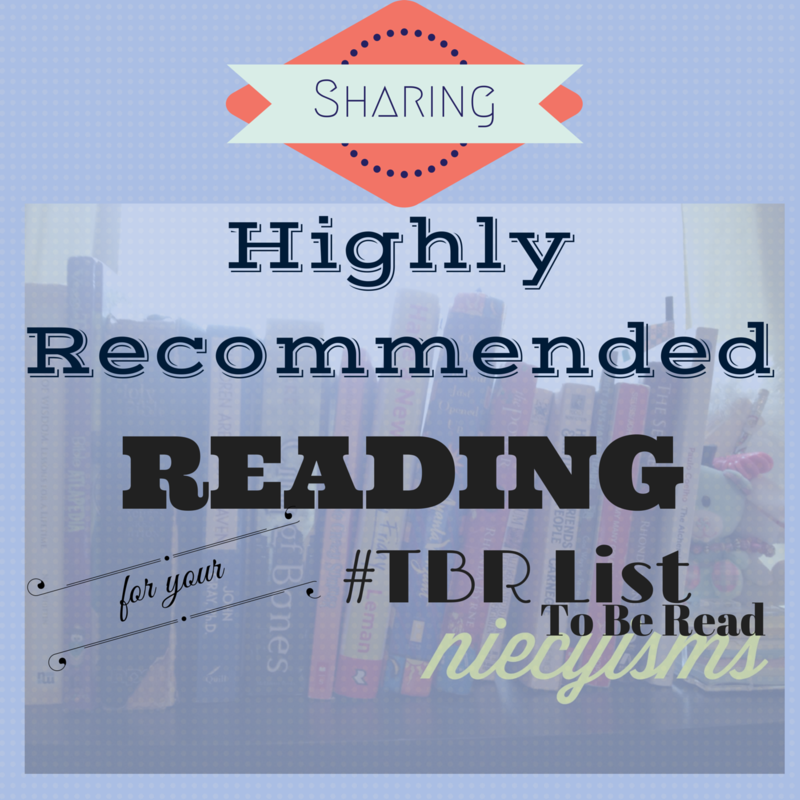 I also recommend searching the #TBR hashtag for other great book selections from readers all over the world. 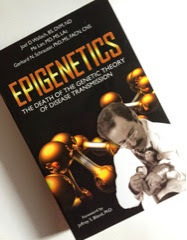 Epigenetics - The Death of the Genetic Theory of Disease Transmission is one of my most recent curiosity reads. With the increased attention given to Genetic Testing, the subject matter of Epigenetics intrigued me. Stemming from the diligent research of the highly acclaimed, powerful collaboration of Joel B. Wallach, BS, DVM, ND; Ma Lan, MD, MS, LAc and Gerard M. Schrauzer, PhD, MS, FACN, CNS; Epigenetics offers a valid and noteworthy perspective on the functionality of the human body and the benefits of utilizing applied research to our daily nutritional intake. Reading Epigenetics was a most informative and comprehensive undertaking. The esteemed recipient of the 2011 Klaus Schwarz Commemorative Medal. Dr. Joel D. Wallach leads his colleagues in presenting a combination of scientific research and applicable lifestyle transformations vital to healthier living. Epigentics is guaranteed to serve as a reference point for all of our families' medical questions and concerns. One fact that I failed to mention, the definition of epigentics. "Epigenetics is an emerging field of science that studies alterations in gene expression caused by factors other than changes in the DNA sequence." Trust me, these are the words of the above referenced scholars, I am merely sharing the knowledge. 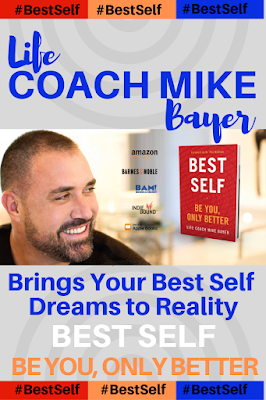 After reading Connected to Goodness - Manifest Everything You Desire in Business and Life by David Meltzer, the overwhelmed and unfulfilled feelings that had become increasingly difficult to address on a daily basis suddenly rather insignificant. 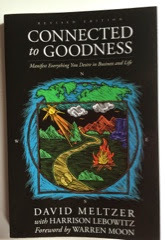 From the incredibly sincere words of Hall of Fame Quarterback, Warren Moon kindly shared in the Foreword of the book to the realistically attainable Seven Principles illustrated in Connected to Goodness, I was immediately connected to the positive energy and guided concepts of Meltzer. The thought that immediately came to mind- "When the student is ready, the teacher will appear." Providing clear and simple wisdom from the learned experiences of life, David Meltzer has written a very basic means for clarifying the complications that we allow into our lives. His words are a well-organized collection of truths that we many time have known all along yet failed to acknowledge due to our own limitations. My takeaway, "It's the challenges, the struggles, the success and failures that make me who I am today. Appreciate all of your experiences, and learn from them in order to stay connected to the source and goodness." 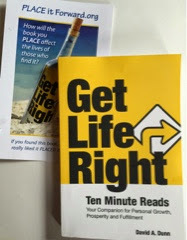 The recently released book by David A. Dunn is the quintessential guide to Get Life Right - Ten Minute Reads Your Companion for Personal Growth, Prosperity and Fulfillment. The vibrant series topics, task goals, summary questions and checklists create an atmosphere for motivated awareness or purpose. The active involvement from the reader creates a hands-on approach to gaining a more defined directional path for pursuing life goals. As the year comes to a close and many of us take this time for reflection and redirection, Get Life Right is an effective tool for enabling the best use of skills and talents. Using concise, clear language the illustrations of each of the life topics is presented in a very conversational manner. Working together and sharing experiences with my tween is useful in developing his life planning and goal setting capabilities. 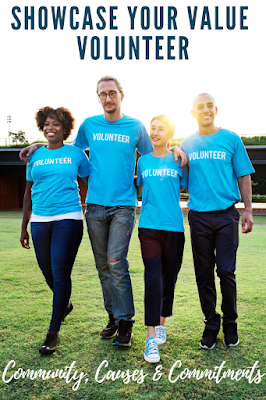 According to Dunn, "Having a goal that you are passionate about gives you courage, helps you harness your creativity and energy, and makes you more aware of new possibilities."